Ahh, Candy Corn… we can’t seem to get enough of it or get rid of it fast enough. Take (or give) these 9 pancreas-pulverizing variations on a sugary theme. Did you know that for a limited time only, you can enjoy “the sweet, fun flavor of your favorite Halloween treat” piping hot in your favorite mug as you dig into a plate of breakfast bacon & eggs or a bowl of Kellogg’s Candy Corn Pops, depending on your household? 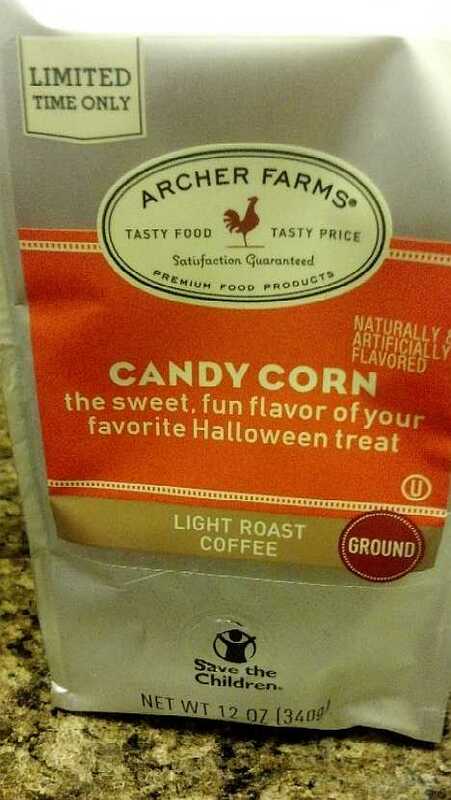 Yes indeed, friends and neighbors, Archer Farms Candy Corn light roast ground coffee adds a jolt of Halloween horror to your morning caffeine rush; it’s what we’d ALL be drinking if coffee was made & marketed by kids. Speaking of which, note the “Save The Children” logo/legend at the bottom of the bag… maybe rugrats really are running the show at Archer Farms. 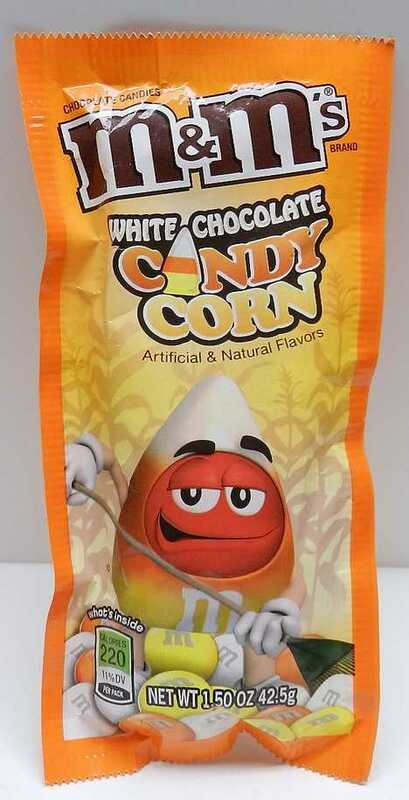 Introduced in October of 2011, M&M’s White Chocolate Candy Corn promises a tantalizing mix of natural and artificial flavors (it says so right on the front of the bag) which begs the question: is the true flavor of candy corn natural or artificial? Maybe M&M’s is just covering all the angles because really, what else can you say about oversized white chocolate drops in orange, yellow and white candy shells? A sweet-toothed reviewer from Infinite Hollywood had a few things to say about M&M’s White Chocolate Candy Corn, none of them good. Newton, as he calls himself, soured on the concept before even biting into one – he’s peeved there are too few orange M&M’s in relation to the yellow and white ones. First world problems! 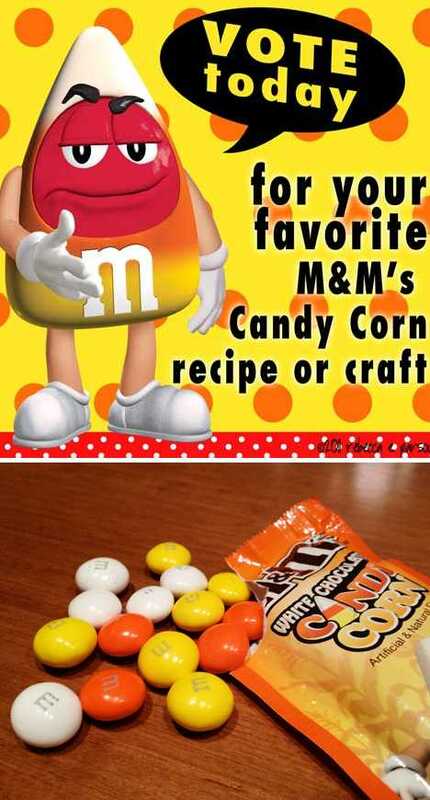 Once he did bite the bullet, so to speak, Newton experienced a letdown of Great Pumpkin-esque proportions when he discovered the interiors of M&M’s White Chocolate Candy Corn, regardless of the color of their shells, tasted like run-of-the-mill white chocolate. Gee Newt, you say that like it’s a bad thing. “I don’t see why people are taking the worst tasting Halloween Candy and making it into different products,” fumes Greg Muschong of Half-Assed Productions. 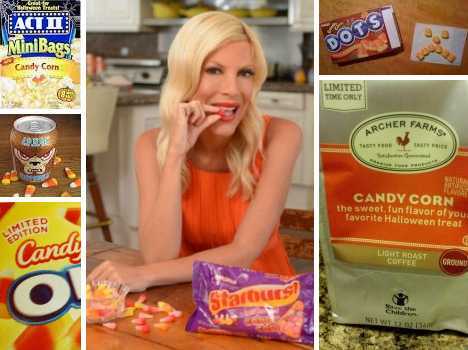 A fed-up Muschong goes on to demand of everyone and no one in particular “Please, stop making candy corn products. Enough! !” Disparaging though he may be, Greg still took one for the team by microwaving and reviewing a mini-bag of ACT II Candy Corn Popcorn. The verdict? According to Greg, “not horrible,” which seems to be the upper limit of praise when it comes to rating candy corn flavored foodstuffs. 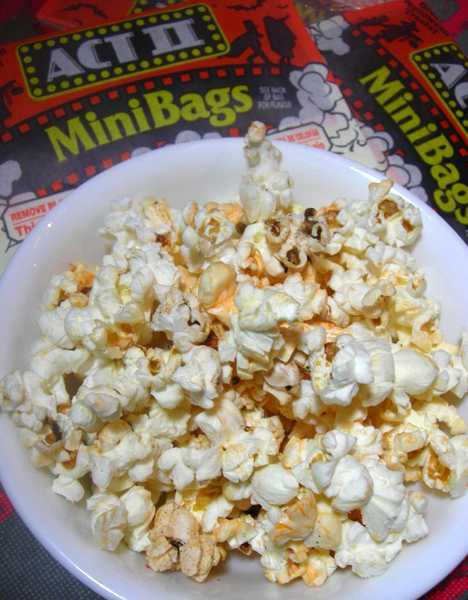 As Candy Corn Popcorn doesn’t appear in ACT II’s current online microwave popcorn lineup, Greg may have gotten his wish… at least as far as popcorn is concerned.